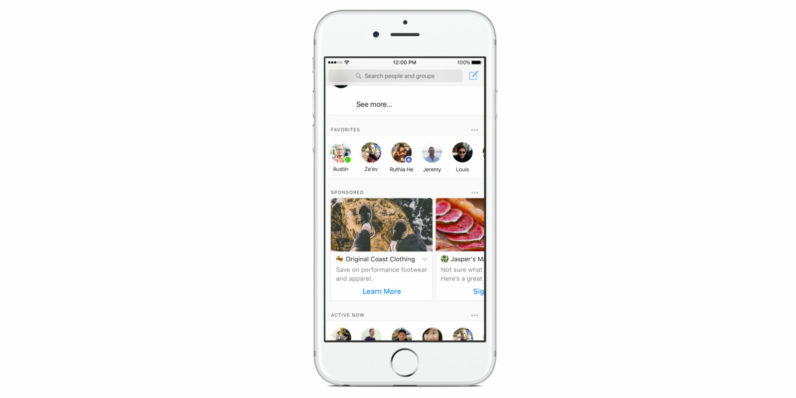 Ever on the lookout for new revenue streams, Facebook is pushing News Feed-like ads right on to your Messenger screen. Announced today, the test only affects users from Australia and Thailand, for now, but it’d be hard to imagine a scenario where this didn’t go worldwide after the kinks have been worked out. The new ads will appear the users’ most recent conversation. According to the announcement, users will have the option to hide or report ads that are irrelevant or offensive, and they’re designed not to interfere with your conversations. Facebook’s test isn’t unexpected. This is just one of many new formats the company is testing after warning investors last November that advertising revenue growth would “come down meaningfully” this year as it reduced “ad load” — the number of ads that appear in a New Feed. As companies like Facebook and Snapchat continue to push toward mainstreaming their ad offerings — a move they hope will garner TV-esque ad prices — the trend seems to suggest fewer, more expensive advertisements and those prominently featured in places outside the News Feed — namely video, Facebook Instant Articles, and full-screen Canvas ads.